Magic is real. Dreams really do come true. And the world can astonish you with its beauty and endless capacity for new adventure. How do I know all these things? I just spent two days at the Disneyland Resort with a small child. Disneyland is good for all ages, of course. But there is something extra-special about visiting the Park with a little one. When my preschool-aged daughter saw Mickey Mouse standing in front of City Hall on Main Street, U.S.A., her mouth formed a perfect "o" of delighted astonishment. When we boarded a boat and took the "happiest cruise that ever sailed," (also known as "it's a small world") she sang along and bounced up and down in her seat during the entire ride. Soaring over the park in a flying elephant made her clap her hands with joy. 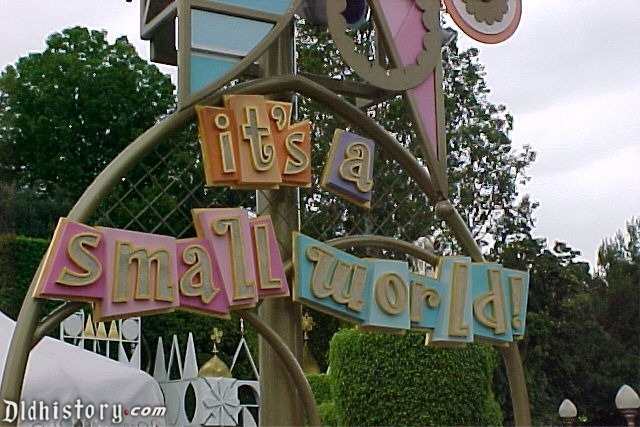 But of course, Disneyland is a big day for small people, which means every parent has to go in with a plan of action. Here are some tips and tricks I learned to make the most out of visiting the Disneyland Resort with a preschooler. 1. Strategizing all your must-see attractions in advance is the best way to go. This may come as no surprise, but Disneyland Resort is HUGE! Even if you're there for more than one day (and I highly recommend going for more than one day) you're not going to squeeze in everything. There's simply too much to see and do. So take some time in advance of your trip to plan your must-dos. Disney provides lots of resources to help with this, including the Disney Parks Moms Panel - a group of parents who are experts on the parks and can answer any questions you might have. 2. FastPasses and Rider Switch Passes will be your saving grace. You've likely heard of Disney's brilliant FastPass system, but do you know about the Rider Switch Pass (informally known as the "baby swap")? Here's how it works: When my older kids wanted to ride on an attraction that wasn't right for my little daughter, I'd sit it out with her. My mom, who was traveling with us, would take the older kids and ask a Cast Member for a Rider Switch. After exiting the attraction, my mom would give the Rider Switch to me, and I got a chance to enjoy the ride without waiting in line - and my older kids could ride with me again too. 3. The Baby Care Center has everything you might need. Both Disneyland and Disney California Adventure contain a hidden gem: the Baby Care Center. Need a tiny potty for your preschooler? Need to buy sunscreen or a pacifier after you somehow lose the three you brought with you? Need to distract your preschooler with a little TV time while you feed your infant? This place has all of that and then some. It's a refuge for you and your tiny person whenever you need a break from all of the action. In Disneyland, the Baby Care Center is located at the end of Main Street, U.S.A. In Disney California Adventure, it's next to the Ghiradelli Soda Fountain and Chocolate Shop in Pacific Wharf. No reservations needed - just walk on in! 4. The park is amazingly stroller-friendly - so bring one if you need one! No matter how active your preschooler is, chances are their little legs will get tired at some point during the day. They may even need a quick nap break during all the fun. Definitely bring a stroller! There's ample stroller parking near every attraction, so you don't have to worry about leaving it while you enjoy a ride or show. I personally recommend bringing one with a big basket to store your gear for the day. If your little one needs a break after sitting in the stroller for a while, head on over to Mickey's Toontown. This part of the Park has many areas for running, climbing, and getting the sillies out, including a great little play area in the "garden" outside of Goofy's Playhouse. I think my daughter went down the slide in the garden about twenty times! 5. Don't forget to slow down and enjoy the little moments. Some of the best Disneyland memories come out of the blue - in the little, unexpected moments. On a whim, we bought a bubble wand as we walked through Fantasyland. One of my favorite memories of the entire trip was watching my kids - big and small - jump up and down and laugh hysterically as they popped bubbles. Seeing my preschooler wave to Cinderella as she walked past us having my son holding my hand while we waited in line for Star Tours all of us dissolving into laughter as we put on our matching Mickey Mouse ears Now that's the good stuff. Those are the things I will remember. Those are the things my children will remember. And that's the real magic of Disney.